If you think of a bird’s natural habitat as a patchwork quilt of fields, woods, towns and cities, your garden represent a vital patch that a bird can use to stop off to get much-needed energy. Over the past 50 years there have been substantial changes to the way we farm in the UK and Ireland. More intense methods have resulted in a loss of hedgerows and marshlands and a knock-on impact to the available feeding and nesting locations of wild birds. As a result of the UK’s changing farmland, wild birds are becoming more reliant on garden offerings to help meet their high energy requirements. Both the RSPB and BTO recommend supporting wild birds by providing food all year round. Peckish Daily Goodness Nuggets can be used all year round. 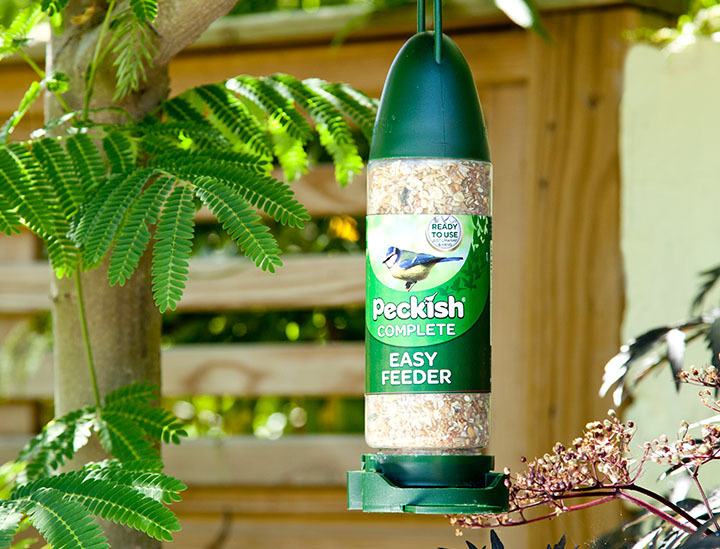 Peckish Complete All Seasons Seed Mix comes in a pre-filled feeder, simply hang and let the birds enjoy! 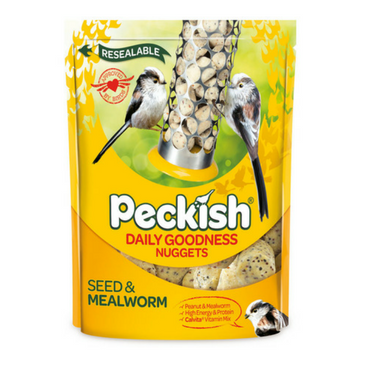 Peckish Complete Complete Seed & Nut Mix and Peckish Daily Goodness Nuggets are excellent staple products, particularly popular with newcomers to bird feeding as they can be used at any time of the year. Peckish also offers a range of seasonal and themed mixes more specific to the changing needs, for instance; during the spring and summer month’s birds require lots of energy and protein to prepare for and support their new chicks. Peckish Nesting and Young Bird Mix is a high energy blend designed to support the growth and development of fledglings. The mix also includes kibbled peanuts which are smaller in size to stop young birds from choking. During the autumn and winter, shorter days and harsh weather can make foraging for natural foods difficult. Peckish Winter Warmer Mix contains a combination high energy seeds and grains to give birds the energy they need during the cold winter months. November 27, 2015 - Give your garden birds some cake this winter to keep them warm!